Director Lubitsch, revered for sophisticated films spun with his light-as-air "touch" and at an artistic peak in 1940, took special care with The Shop Around the Corner. 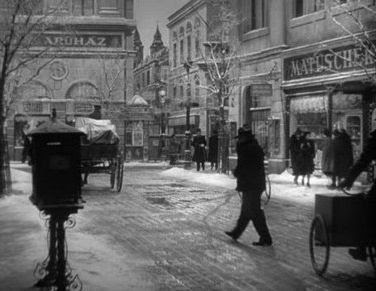 It was one of his favorites of own films, and he wrote, “Never did I make a picture in which the atmosphere and the characters were truer…” This atmosphere is unmistakable. With the first strains of “Ochi Tchornya” heard over Leo the Lion’s roar, in the dreamlike setting near Budapest’s historic Andrassy Street and in unique and distinctive characters, the spirit of old Europe is alive on screen. ﻿﻿﻿﻿﻿﻿Samson Raphaelson (Suspicion, Green Dolphin Street) penned a screenplay based on Nikolaus (Miklós) László’s play; William H. Daniels (The Naked City, Cat on a Hot Tin Roof) shot it and Werner Heymann (Ninotchka, To Be or Not to Be) wrote the score. 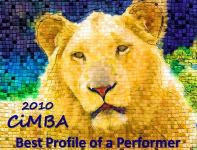 A sparkling ensemble cast features several of MGM’s top supporting players. Among them is Frank Morgan in one of his most interesting roles as Mr. Matuschek, the colorful charmer who owns the gift shop. A somber turn in the subplot gives Morgan a chance to portray his character's darker emotions. Peerless Felix Bressart plays the meek/endearing clerk, Pirovich. Versatile Joseph Schildkraut defines ‘loathsome’ as Vadas. Also in the featured cast are Sara Haden, William Tracy and Inez Courtney. 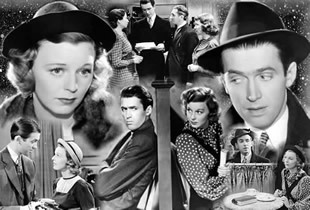 The legendary chemistry between stars James Stewart and Margaret Sullavan electrifies the screen. Stewart is at his most appealing as Mr. Kralik, head clerk and right hand man to Mr. Matuschek. In this role, Stewart's broad signature mannerisms are tempered by the sensitivity with which he portrays Kralik's romantic yearnings. And Sullavan mesmerizes in an equally fine performance. Her headstrong shop girl, Klara Novak, is a high-strung romantic whose breathless eagerness is offset by her brittle fragility. Margaret Sullavan was discovered on Broadway by director John M. Stahl (Leave Her to Heaven) who brought her to Hollywood to star in Only Yesterday (1933) with John Boles. By this time Sullavan had already married and divorced Henry Fonda and would soon marry director William Wyler. By 1936 the actress was married to agent/producer Leland Hayward and about to make her best films: Three Comrades (1938), for which Sullavan earned a Best Actress Oscar nomination, The Shopworn Angel (1938), The Shop Around the Corner (1940) and The Mortal Storm (1940). In the last three she co-starred with Stewart. The pair had first worked together on Next Time We Love (1936), a result of Sullavan suggesting her friend Stewart for the part. In The Shop Around the Corner, the third of the their four collaborations, the co-stars seem to all but dance together, such is the rhythm between them. Mr. Matuschek returns to his store on Christmas Eve to total the day’s receipts, thank his staff and hand out bonuses. It is closing time and as the wistful shopkeeper departs, he says goodnight to - and we have our last glimpse of - most of the other characters as they depart for the holidays. 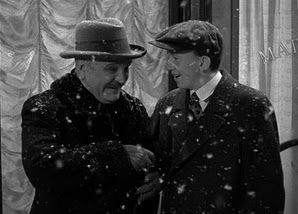 When the shop's new errand boy, Rudy (Charles Smith), emerges, Matuschek takes him under his wing and out to a glorious Christmas dinner of roast goose, potatoes in butter…and “a double order of apple strudel in vanilla sauce.” The two, no longer facing a lonely Christmas Eve, strike up a jubilant rapport. A lovely post on a special movie, and your opening paragraph alone is sublime. Thank you, Jacqueline - this is one of my favorite films in any season, but it particularly touches my heart during the holidays. Haven't seen this in ages, Eve. Thanks for a wonderful overview. It sounds the perfect pix for this time of year. I am not fond of Margaret Sullivan and perhaps that might have been the reason I never saw this more than once many MANY years ago. Yvette, I have to admit that it took time for me to warm up to Margaret Sullavan, but I've come to appreciate her, especially in her best films. This is the best of her best and I hope you'll give it another chance. Truly, this really is a lovely film and the fact that I'm a huge Jimmy Stewart really helps!! Love this film - it is perfection -like a box of turkish delight! I always remember Louis Brooks' description of Margaret Sullavan's voice - "like singing in the snow." FlickChick - If I remember correctly, something happened to Margaret Sullavan as a young girl that affected her voice...it turned out to be a good thing. Eve, wonderful review for a wonderful movie. I would love to spotlight it on N and CF article of the week Dec. 9th. If you do not mind. Dawn, I'm honored you'd like to highlight this post at Noir & Chick Flicks - thank you! If I had to name one Christmas movie that should be better known, it's this one. Sullivan is luminous in this, and Stewart is just amazing. It's commonly thought that he received his Oscar for "The Philadelphia Story" as a consolation prize for the previous year's Mr. Smith, and that's probably true. Still, I always wondered if the Academy was just as much honoring him for his sublime performance here as they were for the same year's "Philadelphia Story." I do hope more people can see this one. Eve, a wonderful and loving post on a great Christmas movie and a great movie of any kind. Lubitsch was one of the masters, and this is my own favorite movie of his. The way he's able to juggle tones in this film is just amazing. It's also my favorite performance by Margaret Sullavan, a gifted and appealing actress who made too few movies before retiring. And my favorite by the wonderful Frank Morgan and one of my very favorites by James Stewart. I wonder if you've read "Haywire," the autobiographical book by Sullavan's daughter Brooke Hayward. She discusses her mother so much that it is practically a biography of her. Eve, I wonderful post as always. You know how much I love this film and thanks for mentioning my man Felix, he and Frank Morgan ( almost ) steal the film . Kevin - My favorite performances by James Stewart are in this film and in VERTIGO. He had more range and depth as an actor, I think, than he is sometimes credited with. These two very different films reflect the scope of his talent. R.D. - It's my favorite Lubitsch film, too, and I'm happy to know that my deep affection came through. I did read "Haywire," but it was long ago when I was less familiar with Margaret Sullavan's films. I've been meaning to revisit it, though I remember it as "heavy going" (in terms of the family dysfunction depicted). Paul - Had there been lesser mortals in the starring roles, Bressart and Morgan would have stolen the film with ease...but the entire ensemble is sublime, each member perfectly cast, each delivering a defining performance. A movie of infinite qualities and a review to match. Lubitsch truly created a world we want to share peopled by those we understand. Another fascinating read! I hope anyone who hasn't seen the film will realize what a holiday treasure this film is. It took me a while to warm to Margaret Sullavan as well. I think the fact that she was such a complex woman offscreen did find its way into her work. From what I've read about Sullavan, she was quite troubled. I think that fragility worked well in many of her movies but not all. That's why I think I have mixed reactions to Sullavan. I haven't seen or thought about this little gem for some time! Thanks so much for doing such a thoughtful review of it and throwing in your trivia on Sullavan. Stewart and Sullavan were magical together. Often I've felt Stewart looked too 'boyish' for his romantic leads but they were a perfect fit. A wonderful review as always. I can only concur what others have already said. Your have written a warm and loving post on a cherished film for this time of the year. I have an affection for films with snow (is this strange?) and this is certainly on this list of great films with snow scenes. Stewart and Sullavan made a fine team and 1940 was a great year for them with this film and THE MORTAL STORM. Gilby, Page and John - It warms my heart to know that you are all fans of this Lubitsch treasure. Though I'm not surprised! 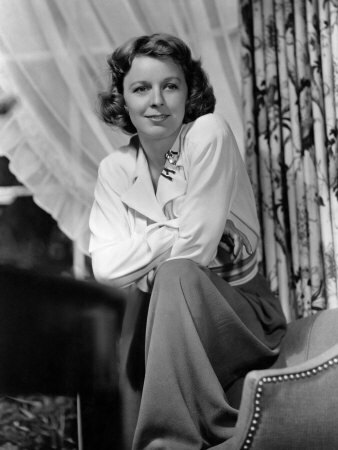 More about Margaret Sullavan. I watched her screen test as the 2nd Mrs. deWinter for REBECCA a while ago and didn't think it was very good. But I also found out she'd earlier co-starred on Orson Welles' radio program (the debut episode of his Campbell Playhouse) in that part for his version of REBECCA (Welles was Maxim, Mildred Natwick was Danvers). Though I haven't listened to the episode, I imagine Sullavan's voice would be enchanting in the role on radio. John - I like movies with snow, too (HOLIDAY INN, XMAS IN CT, MEET ME IN ST. LOUIS, etc., etc.) - though I'm no fan of cold weather - ?!? I love this film, and am hoping to see it again over the Christmas period this year. Really enjoyed your review, Eve. I agree that this film very much has a flavour of the old Europe, which had already vanished in the war when it was made, helping to give the feeling of nostalgia. Also agree that Stewart and Sullavan are both wonderful in it. Judy - Lubitsch recreates the character of Old World Europe so lovingly that there’s no mistaking what it must have meant to him. And it really is one of the most endearing qualities of the film, I think. 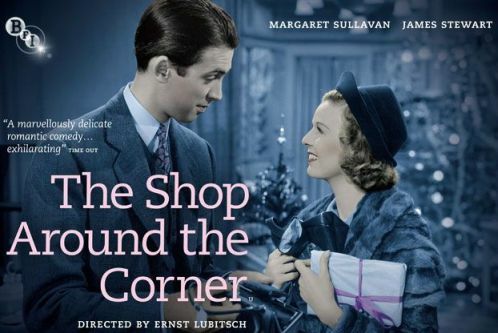 I hope you do have a chance to watch THE SHOP AROUND THE CORNER over the holidays, it's such a special film this time of year. Charming, sweet, nostalgic -- this movie pictures a world I wish I could live in. You did it justice, Eve. I love this movie. Becky, Budapest a la Lubitsch is a magical world, isn't it? 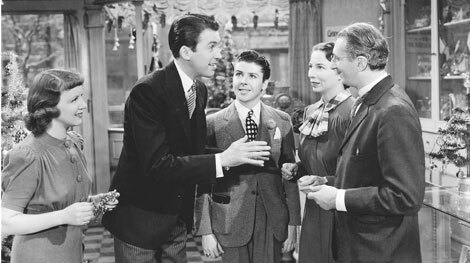 Enjoyed the film, but it takes some doing to accept James Stewart as a retail clerk in Hungary. Anyone who doesn't like Margaret Sullavan-- pooh--I adore her!! ...More About "A Month of VERTIGO"